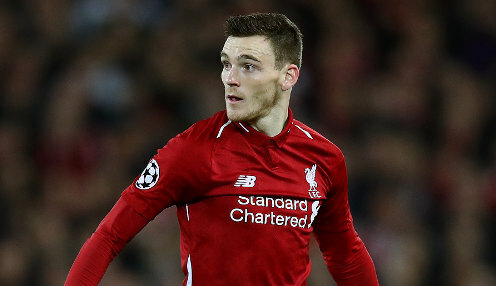 Scotland captain Andy Robertson is keen to feature in Thursday's Euro 2020 qualifier against Kazakhstan even though he has had to endure dental surgery. The Liverpool left-back missed the flight to Kazakhstan after being told to stay behind to get an abscess treated. It had been thought that the 25-year-old would miss Thursday's match but would have a chance to play against San Marino on Sunday. However, assistant coach Peter Grant explained: "The way he is, he is still desperate to play and still trying to get himself back out here as well. That's the way Andy Robertson is, that's why the manager selected him to be his captain, because he is determined to play for his country. "He had no choice because he couldn't fly with it. The swelling and the pressure in the air was going to be a problem for him. He went straight from the plane to the hospital and he was hoping he was still going to fly, that's why we held the plane up a bit. Obviously they wanted him to get an operation done. "I would hope he would join up for here. He's going to see about his tooth problem and we will take it from there." If Robertson is not able to play on Thursday, Kieran Tierney will take the former Hull City star's place. Grant added: "The beauty is we have two fantastic players. You are never always going to have everyone fit. But look at the quality you have to come in if he (Tierney) is fully fit." Scotland are 23/20 to beat Kazakhstan and 9/1 to edge the Euro 2020 qualifier 2-1.